Bill Bryson meets Bruce Lee in this raucously funny story of one scrawny Americans quest to become a kung fu master at Chinas legendary Shaolin Temple. 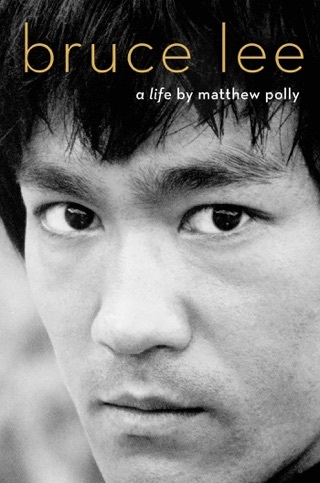 Growing up a ninety-pound weakling tormented by bullies in the schoolyards of Kansas, young Matthew Polly dreamed of one day journeying to the Shaolin Temple in China to become the toughest fighter in the world, like Caine in his favorite 1970s TV series, Kung Fu. While in college, Matthew decided the time had come to pursue this quixotic dream before it was too late. Much to the dismay of his parents, he dropped out of Princeton to spend two years training with the legendary sect of monks who invented kung fu and Zen Buddhism. Expecting to find an isolated citadel populated by supernatural ascetics that hed seen in countless badly dubbed chop-socky flicks, Matthew instead discovered a tacky tourist trap run by Communist party hacks. But the dedicated monks still trained in the rigorous age-old fighting formssome even practicing the iron kung fu discipline, in which intensive training can make various body parts virtually indestructible (even the crotch). As Matthew grew in his knowledge of China and kung fu skill, he would come to represent the Temple in challenge matches and international competitions, and ultimately the monks would accept their new American initiate as close to one of their own as any Westerner had ever become. Laced with humor and illuminated by cultural insight, American Shaolin is an unforgettable coming-of-age tale of one young mans journey into the ancient art of kung fuand a funny and poignant portrait of a rapidly changing China. 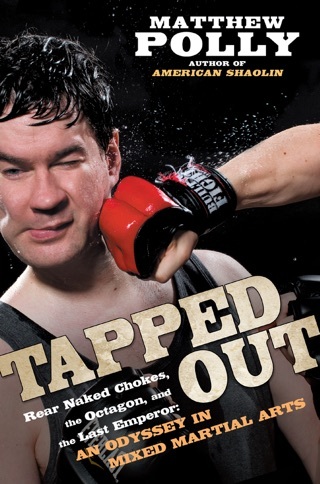 In this smoothly written memoir, 98-pound weakling Polly makes the age-old decision to turn his nerdy self into a fighting machine. Polly's quest for manhood leads this guy from Topeka, Kans., to the Shaolin Temple, ancient home of the fighting monks and setting for 10,000 chop-socky movies. As much a student of Chinese culture as he is a martial artist, Polly derives a great deal of humor from the misunderstandings that follow a six-foot-three laowai (white foreigner) in a China taking its first awkward steps into capitalism after Tiananmen Square. Polly has a good eye for characters and introduces the reader to a Finnish messiah, a practitioner of "iron crotch" kung fu, and his nagging girlfriend. We get the inside dope on Chinese dating, Chinese drinking games and a medical system apparently modeled on the Spanish Inquisition. The last hundred pages of the book lose focus, and Polly doesn't convincingly demonstrate how he transforms himself from a stumbling geek to a kickboxing stud who can stand toe-to-toe with the highest-ranked fighter in the world. Although Polly may fall short in sharing Shaolin's secrets, as a chronicler of human absurdity he makes all the right moves. 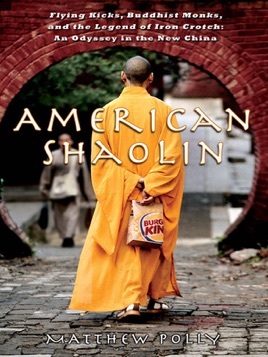 American Shaolin is one of those timeless stories about self discovery. Only this story involves an awkward American college student who decides to drop everything and move to the remote Shaolin Monastery in China. Matthew Polly's journey is hilarious and painful at the same time. Just wait until you get to the part about iron crotch Kung Fu, then you'll understand. The book is basically about a young american boy, who in 1992, flies to China to study kung-fu at a monastery. In his years there, he has to deal with the communist guys who run the place, other students both foreign and Chinese, and his own fears. I hear they're making a movie about it, which should be good if the book is any indication.